This year marks John Bidwell's 200th birthday and we are planning a year-long celebration in his honor. We would love for you to join us for several BMA and community events. See below for our monthly events—many events are free, so gather up your friends and family and help us celebrate! If you would like to participate or volunteer for an event, please let us know—we'd love to have you! Reception — 5:30 p.m. | Business Meeting — 6 p.m. Please join us for the annual meeting of the Bidwell Mansion Association. All BMA members and guests are welcome to attend. After a brief business meeting, we will be privileged to have guest speaker Dave Nopel join us for the evening for an interesting talk on the Bidwell-Bartleson Party, and their journey to California in 1841. Thank you for your membership support—we look forward to seeing you! 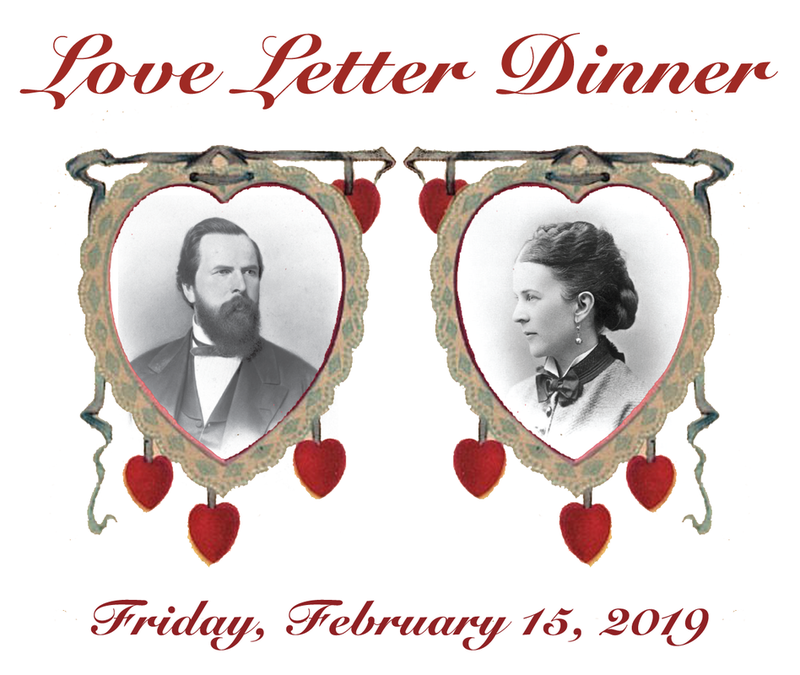 Celebrate the unique love story of John and Annie Bidwell with an intimate dinner party in the Bidwell Mansion. Featuring a historically-inspired menu taken from Annie's diary, live readings from John and Annie's love letters, and more! This special dinner is limited to 16 guests. Tickets will be available at the Annual Meeting and at the General's Store after 1/27/19. Please call 530-891-7903 for more information. Celebrate Annie's birthday with a formal tea in the Mansion. Enjoy watermelon and Casaba Melon in downtown Chico! Enjoy a special evening on the Mansion grounds with children’s games, activities, and campfire entertainment! John Bidwell's 200th Birthday Celebration! THIS IS IT! Celebrate John's 200th birthday at the Mansion with cake, ice cream, games, music, and more! Tickets: General park entrance fee: $6 for adult, $3 for children 5-17, and free for children 4 or younger. Cash, check and credit cards are accepted for the tours. Come see beautiful quilts on display at the Mansion and Visitor Center. Each quilt has been wonderfully made by members of the Annie's Star Quilt Guild. Celebrate Farm Day on the Mansion grounds.